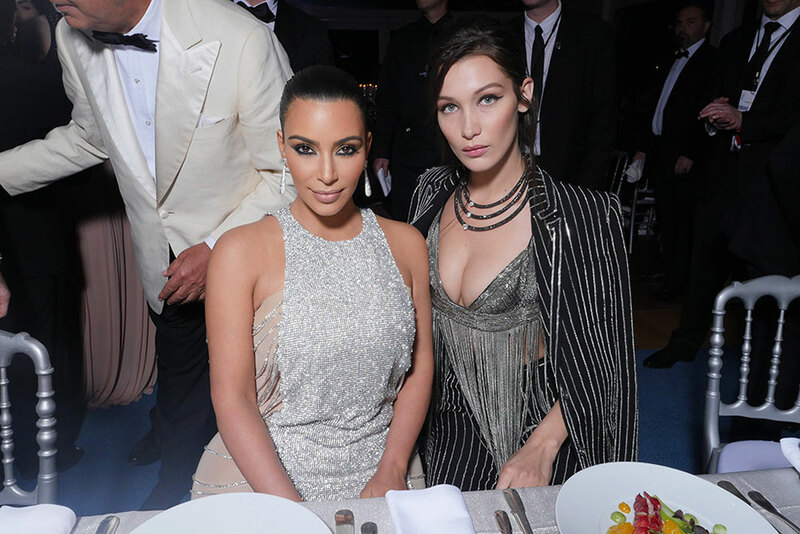 Kardashian was joined by fellow reality TV queens, Kris Jenner and Paris Hilton, as well as models, Bella Hadid, Barbara Palvin, Chanel Iman, Toni Garrn, Alek Wek, Natasha Poly, and Ana Beatriz Barros. Other guests in attendance were Untitled Magazine editor-in-chief Indira Cesarine, Chris Tucker, Milla Jovovich, Mischa Barton, and Ivana Trump. 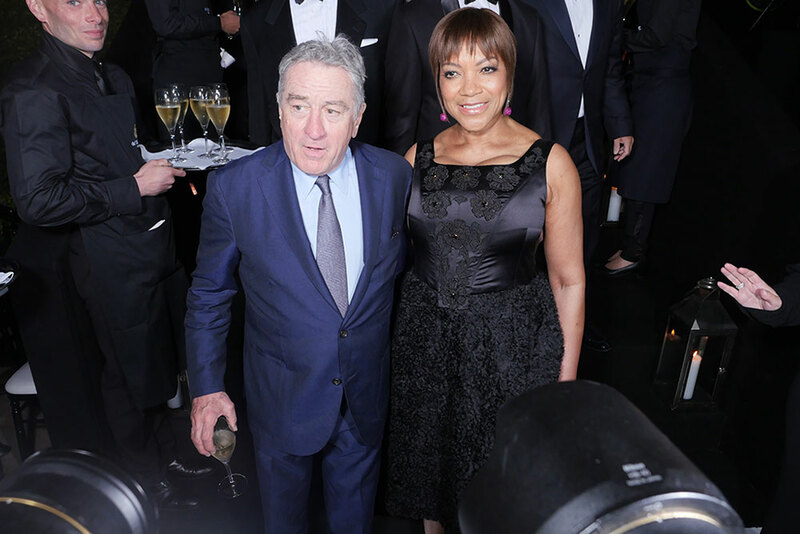 In a separately secured area of the party, Robert De Niro held court with his wife, Grace Hightower, and Harvey Weinstein. Édgar Ramírez and Ana de Armas, de Niro’s co-stars of the much buzzed about Cannes feature, “Hands of Stone,” were also seen enjoying the festivities. Despite the celebrity presence, the biggest star of the night was a $20 million, 404-carat rough diamond, which was entrusted to Gruosi by Dubai-based diamond trading company Nemesis International. The stone is the biggest diamond ever found in Angola and will be cut by Gruosi into one large stone or two matching ones. Prior to the big diamond reveal, Gruosi’s jewels glittered on a runway where models in Elie Saab gowns showed off De Grisogono’s latest jewelry collection. 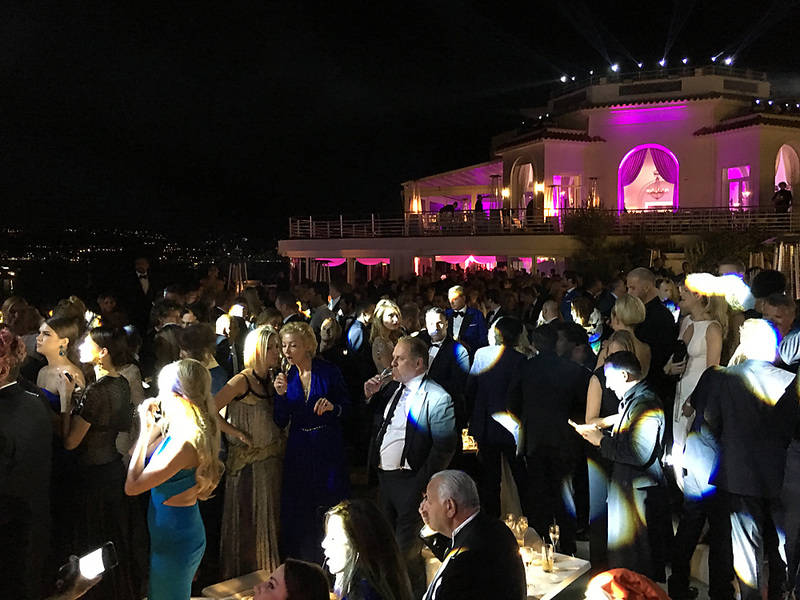 De Grisogono’s annual Cannes party is the biggest event of the year for the luxury jewelry company and has grown immensely since 2000, when the guest list was only 50-strong. This year’s collection was the largest one that Gruosi has ever brought to the festival and included a cocktail ring valued at more than $500,000 with an exquisite pear-shaped yellow diamond of almost 10 carats, surrounded by black diamonds.